The Australian Cobberdog comes in a rainbow of colours. Raven, Black, Silver, Brown,[Rare] Café , Blond, Gold, White Rose, Blond Rose, Red Rose [Rare], Blue, Red, Parchment, Lavender, Merle (Chocolate and Blue) and Parti Colours which are a combination of any one of the colours with white. 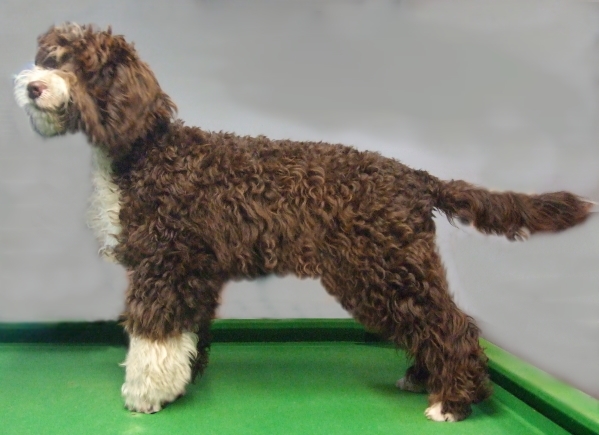 Pigment is the colour of the nose and the skin lining around the eyes, lip rims, and on the pads of a dog's paws. The 'rose' pigment found in the dilute colours is not a lack of pigment, but is a definite colour. 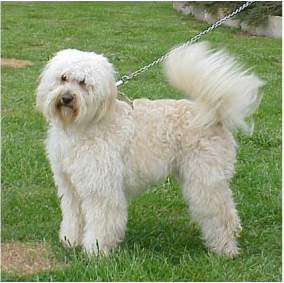 This means that there is no predisposition to sunburning or cancer in the rose pigmented Australian Cobberdog. 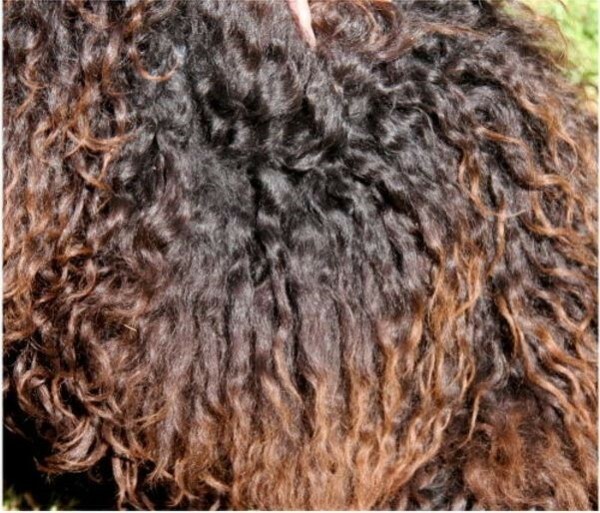 Raven, Black, White, Blue, Silver, Red, Gold, Blue Merle must have Black pigment. Brown, Cafe`, Parchment, Lavender, Chocolate Merle , White Rose, Blond Rose, Red Rose must have rose pigment. Multiple colours. 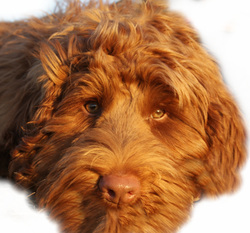 including Agouti, Phantom,abstract, and Pied seen in the Labradoodle, are unacceptable and penalised . 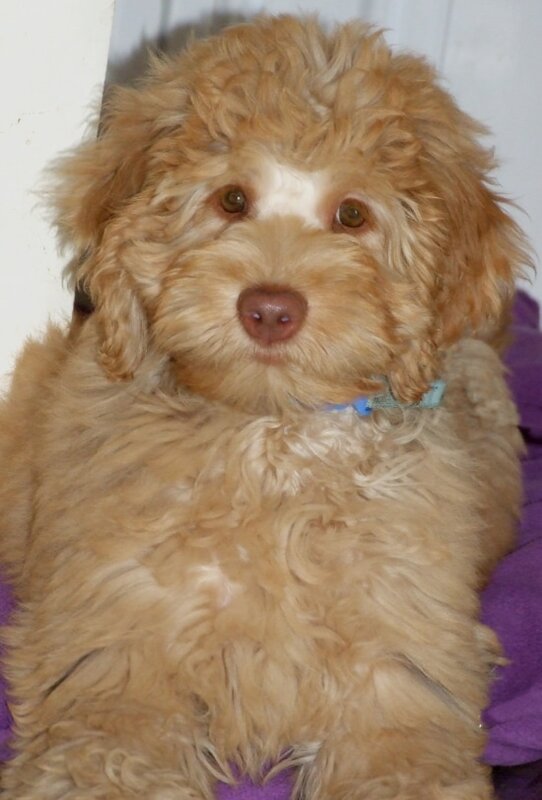 in the pure breed Cobberdog. The true Brown has almost been lost due to uneducated crossbreeding. 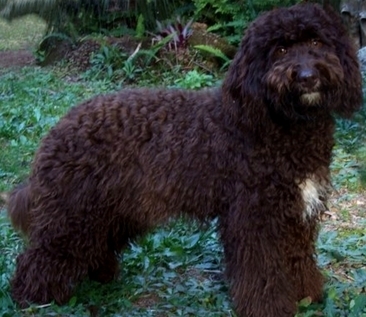 The Best Browns maintain their genetic colour traits when bred from Raven and white parentage. 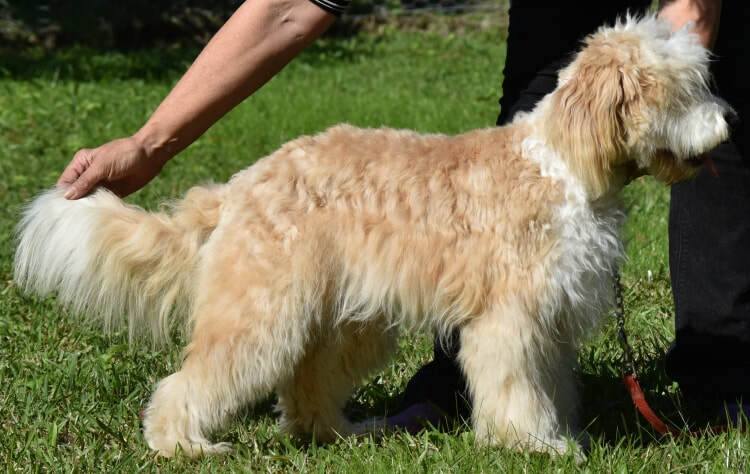 Sadly this magnificent colour is rare due to being bred to dogs with the silvering gene such as the Cafe` Most puppies born brown will change to Cafe`by adulthood. ​Belongs to the Rare colour group. 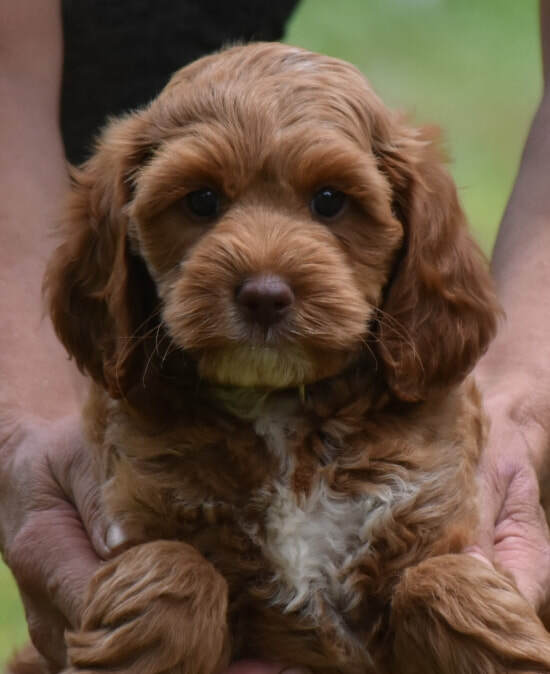 Best Browns start off in puppies as a rich almost black brown, so dark it can look raven, Weather and particularly sun will fade the tips of the coat with bronze/gold highlights, but the rich colour is solid and very apparent toward the skin as adults. Sun tips must not be penalised. Pigment (nose, eye & mouth rims and foot pads) must be strong rose [liver] coloured. The correct Cafe is a delicate beautiful shade the colour of an Iced Milk Coffee. The pigment must be Rose and eyes hazel honey or brown. 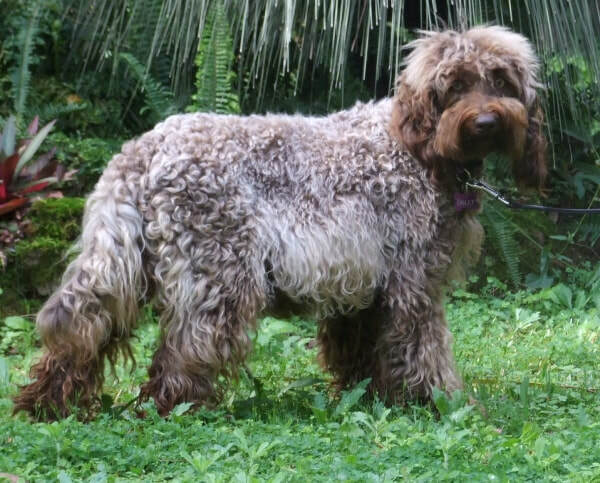 Ears, feet, tail and face may have darker shading all Cafe`are born varying shades of chocolate and lighten with age in the same way as Silvers. Silvers are fascinating and stunning. Born Black, the first signs of Silver start around the eyes looking like a pair of spectacles. As it spreads on the face, silver also appears on the hocks (back knees) and centre of the tail. It then travels up the four legs, and begins silvering from the roots outwards all over the body. Silvers can go through stages of smoky blue and many are a shimmering platinum silver at full maturity. Silvers must have black pigment. Eyes should dark and 'match' the coat toning . Pigment is always black and eyes are shades of brown. 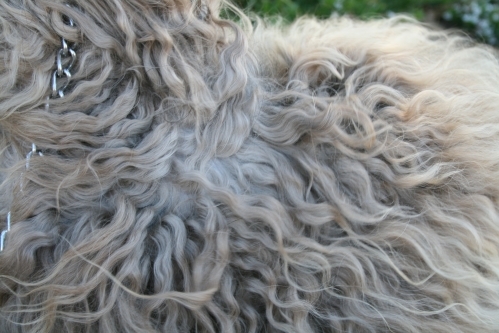 The Gold dog may have slightly darker ears and the featherings may be of a lighter shade to the rest of the body. 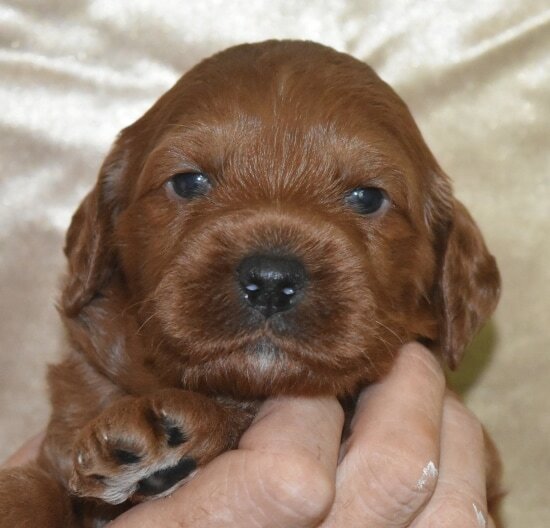 When baby puppies, it takes a practiced eye to tell the difference between a dark gold and a Red, as these colours can either fade, or deepen with maturity. They are a package of delightful surprises as some who fade, can return to an even more vibrant colour when the adult coat comes through. 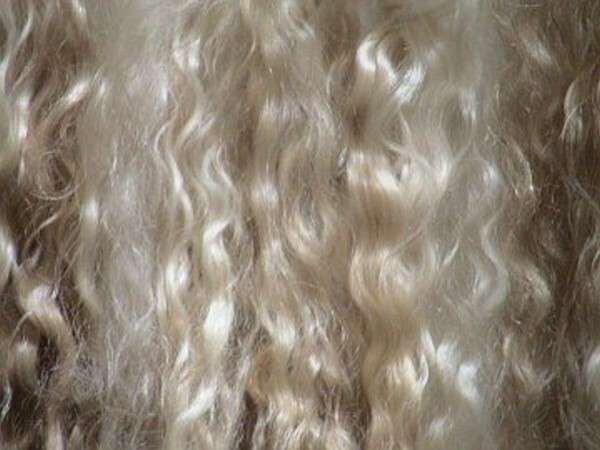 BLOND range through a variety of pale Buttermilk to two tone honey and all shades in between. Pigment is Black and eyes are shades of mid to deep brown. 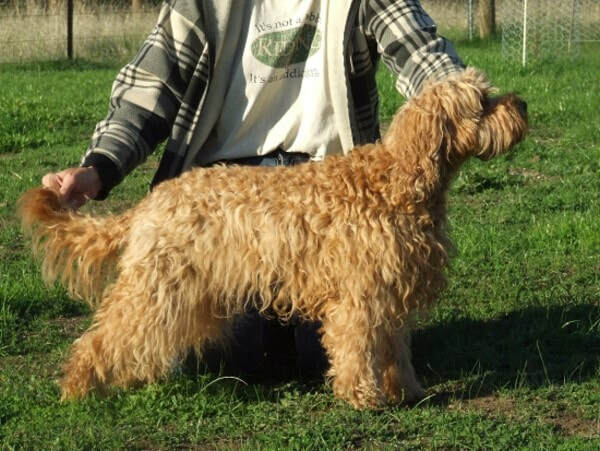 A correct coated blond does not need bathing like other light colored breeds of dog. The Cobberdogs coat sheds dirt and mud all by itself. Left to dry naturally, all traces of dirt completely disappear leaving no staining or smell behind. 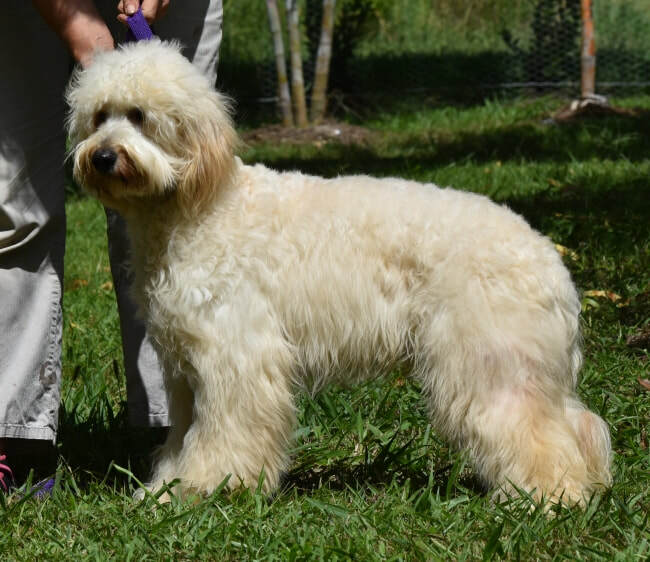 It is just another amazing feature of the genuine Cobber Dog, one which is not shared by copies of the breed. There is something magical about the way the light catches the glossy black waves and ringlets as the dogs move about. Depending on the colours in their ancestry, pigment must be black and eyes dark brown Raven must not have any white or coloured strands..
Raven belongs to the Solid Group. 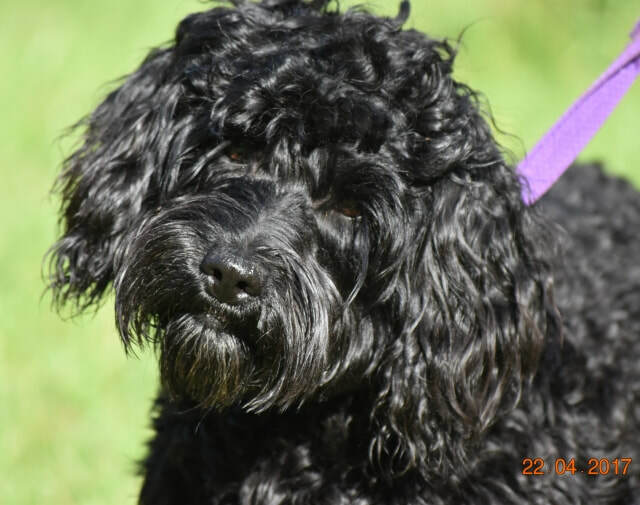 True Raven is the most stunning of all colours and is the most under appreciated colour of the Australian Cobberdog, possibly because they do not photograph as well as the lighter colours. Ravens are valuable in breeding programs as they purify other colours. Countless times, when visitors see the Raven in real life, many have changed their preference to a Raven they are truly exquisite. Non -Raven Black is also underrated and is a beautiful colour, Blacks are more of a calm mat black unlike the shimmering Raven. 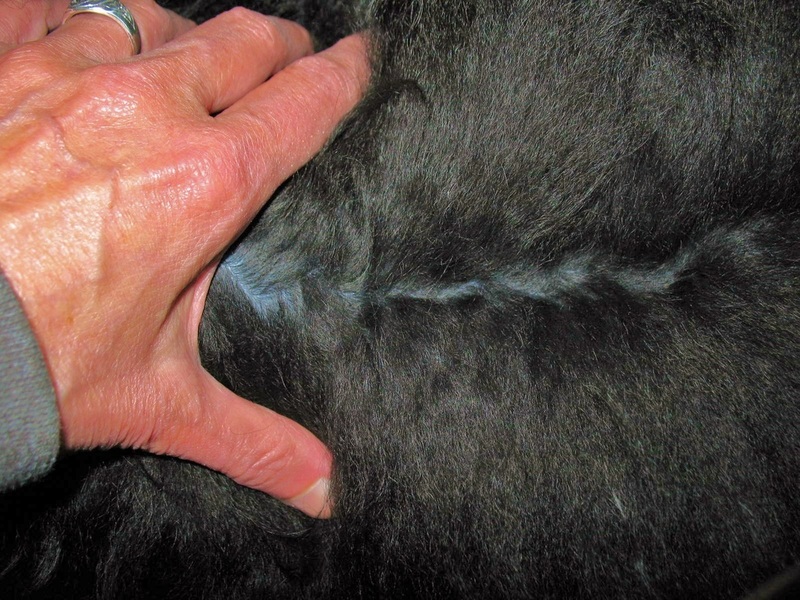 Black dogs will often have rust through their coats, most noticeable on the face and beard and can also have a sprinkling to quite a liberal mantle of white fibres. They belong to the Shaded group. 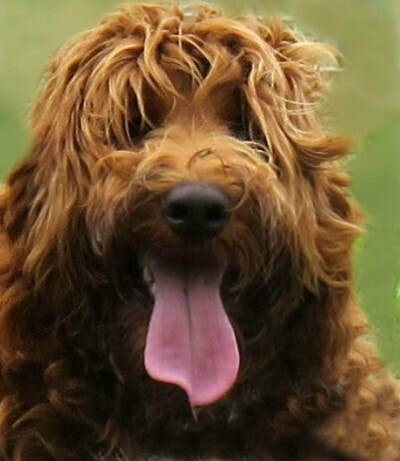 Just as there are different shades of red with red haired humans so it is with dogs. The basic difference between a Red and a rich Caramel is the colour of their pigment (nose, lip and eye rims and paw pads). Reds have Black pigment and dark brown eyes. Caramels have rose pigment and honey to hazel eyes. Belongs to the Solid Group. ﻿﻿There are 3 ROSE colours and all have one common denominator - they must have rose pigment. Rose dogs are the equivalent of red , blond and white with the rose pigment rather than black. Not all Blues 'look' blue. 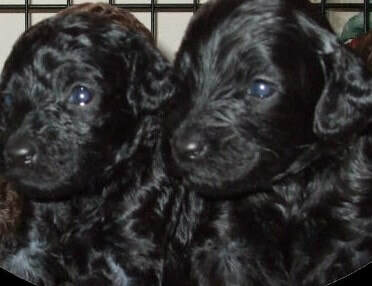 When they are born they are 'almost' black but with a slightly smoky appearance which is difficult to see unless in a good natural light. There are ways to tell which 'Blacks' are really Blue for an experienced breeder. Some adult Blues look Black all the time, but are genetically Blue (useful to know for breeders). Some Blues will develop a Smokey thunder sky blue at some times of the year and become almost Black at others. It is easy to distinguish a Black from even the darkest Blue, by parting their coat and looking at their skin, If it is a Blue dog the skin will look bluish. 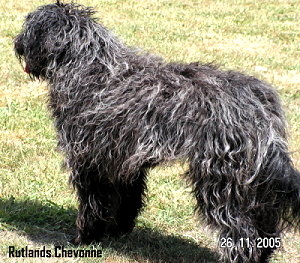 If it is a Black dog the skin will have a grey whitish colour. Pigment must be either Black or bluish Black as an adult. Eyes are a soft dark brown to Dark Brown. Like the Parchment they will show 30-50% of their colour by the age of 6 months, by 12 months a clear iridescent looking mauve Tone will be seen evenly through the body coat, the first mauve signs will show on the front of the legs and the lower hind legs. The skin will have more Blue tone than grey. Eyes are honey or medium to dark hazel/brown. Pigment is a rich Liver/Rose. 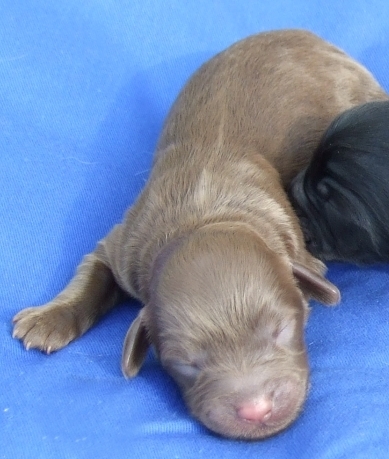 Puppies are born looking like a chocolaty blue/mauve colour, when taken out to natural light they will look silvery with an unmistakable chocolate hue. 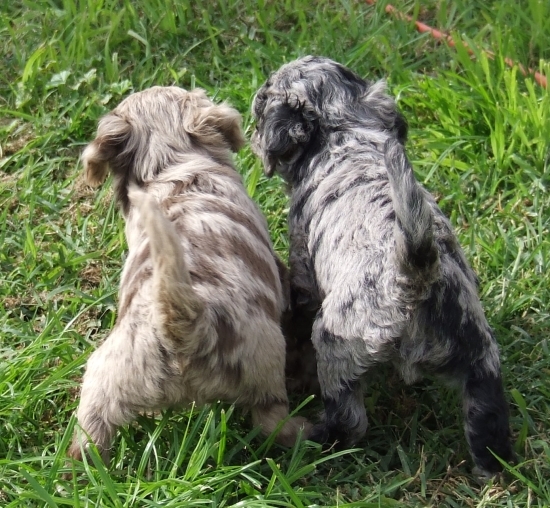 Some Cafe`s will be born silvery chocolate and their adult coat will become a chocolate lavender but the ultimate Lavender is born unmistakably Lavender, [similar to a Weimaraner]it takes a practiced eye to pick which Cafe puppy will develop into a Lavender. 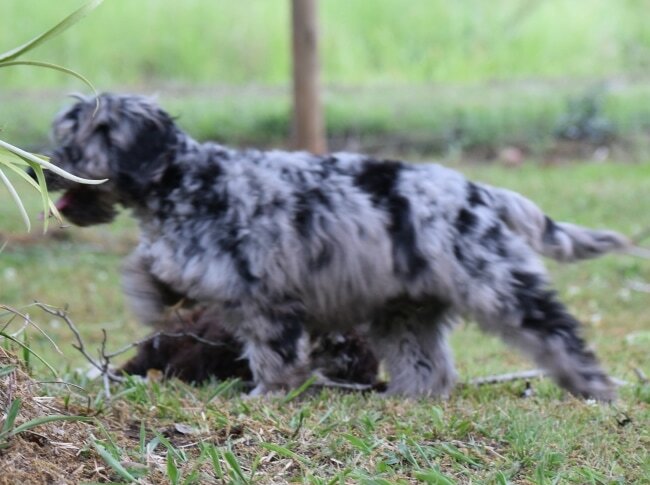 The Merle colour in dogs ran into trouble many moons ago when this technology was unavailable and unknowingly breeders bred a Merle to a Merle thus doubling up on the chromosome causing it to mutate and manifest itself in health disorders. More information is available now and to protect the Cobber dog from ever falling prey to health issues relating to the chromosome we know that a Merle must be bred only to a non merle and if that dog has a merle parent it MUST be DNA tested to ensure that it does not have the chromosome invisible to the naked eye. 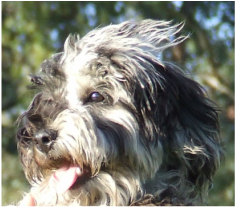 Another mandate for breeding dogs with the merle colour is to maintain only brown eyes in the Merle Cobber Dog colour group. Blue, partial Blue are a disqualifying fault, though very striking they should be removed from breeding programs and desexed. 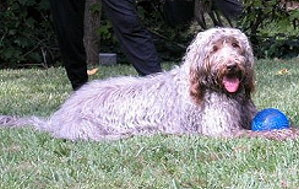 The Merle colour is quite a unique colour gene as it has an extra chromosome, many breeds that have merle as one of their colour groups have health issues related to the extra chromosomes. You can learn a lot about the colour by studying the American Paint horses, It is explained in a far less confusing and complex way. With the horses it is called 'Lethal white" gene but now in our high technology world DNA testing is available to tell us if the horse has the gene or not. 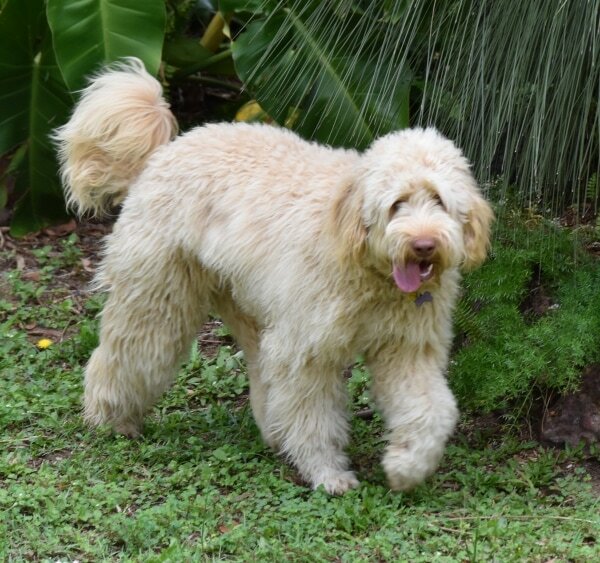 Parti is any above colour with white markings, not more than 50% of the body should be white, the ideal parti colour dog will have full colour body with white on face, legs,chest, under carriage, neck and sometimes tip of tail. Patches over the back are discouraged.